From five hundred meters up, the density of downtown Takikawa clarifies through its grayness. Major highways cut up the quilt of streets; city hall rises the tallest above two-story shops and apartment buildings. Takikawa is rural, a regional hub, though a small one of just over 40,000 people. And beyond the downtown, the inaka (countryside) envelops the city in rice fields, at the confluence of the Ishikari and Sorachi Rivers. This is nothing new to Yuji Higuchi. In fact, he’s more familiar with the view from two thousand meters up. When he gets to six thousand, he says it’s very cold. Higuchi flies gliders in Takikawa, the heart of Hokkaido’s Sorachi Valley. Higuchi and I first met when I lived in Takikawa, working as an Assistant Language Teacher at a high school in the city. My older friend Kazuaki introduced us. Kazuaki looks up to him. He sees a younger version of himself in Higuchi’s ebullience. When we talk over Skype, Higuchi speaks of my recent visit back to Takikawa, how I should come again soon. 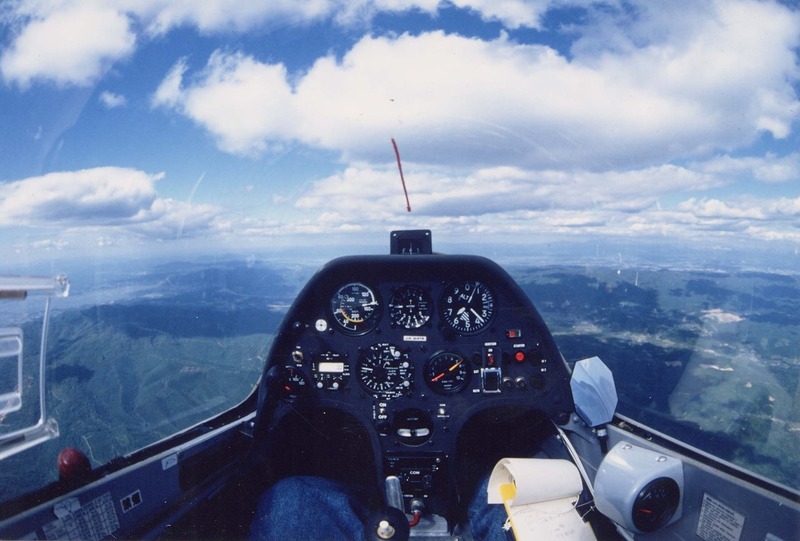 When I went back to visit friends, I rode in a glider, taking pictures from my seat until the pressure made my stomach turn. Growing up, Higuchi never thought he’d be able to fly. His dad was always making model planes, and though Yuji took a shine to them, he was too near-sighted to consider flying a career option. Yuji has a big face, half of which is covered by his smile, the other half by his glasses. The smile matters because he’s from Osaka. Hokkaido people are friendly, casual, open. Osaka people are honest, loud, open. Not to generalize or anything. Higuchi went to Hokkaido University (Hokudai) to get away from home, and he stayed because of the gliders he came to know, and fly, as a student there. Though he likes all kinds of planes, he finds motorized flight to be much duller. He’s been loyal to gliding since he first joined his university’s gliding club almost forty years ago. The Hokkaido University Gliding Club practiced in Ebetsu, a suburb of Sapporo, the island’s largest city, where Hokudai is located. Sapporo is most well-known around the world for the eponymous beer, for the 1972 Winter Olympics, for its snow festival in Odori Park. Gliders don’t count among the city’s claims to fame, but when Higuchi heard about the club he joined instantly. The gliders that Higuchi flies, that hang in Takikawa’s skies, are ASK21s. They look like what you’d make if you made a paper plane more 3D: wings stretched wide, the cockpit shaped like a Christmas light bulb. Though small, they’re designed for cross-country flight. After tandem and training flights, Higuchi was ready for his first solo flight by his fourth year in the club. He landed well past the finish line, traveling eighteen kilometers to a farm where he borrowed the owner’s landline and ate lunch while he waited two hours to be picked up. “After that I got crazy about gliding and I wanted to stay in Hokkaido after graduating,” Higuchi said. To do that, Higuchi took a job teaching high school math in Takikawa. The school has an observatory that has since fallen into disuse, and an alarm sounds when people sneak into the off-limits space. Now, the place to look into the skies is from the classroom windows as gliders provide welcome distraction throughout the school day. Just down the road from the school is Sky Park, where joggers and dog-walkers watch the motorized planes towing gliders into the sky. Beyond are the mountains that enclose Takikawa, and sunsets paint them dramatically every night. Higuchi himself needed the distraction outside of the school’s walls. What was a side hustle became his main line of work. In 1989, Takikawa City founded the Skysport Association of Takikawa (SATA), and Higuchi became one of the key brains behind the operation. At its inception, the club had only seventy members. That number has climbed to over two hundred as people look skywards in the Sorachi Valley. SATA is headquartered at Sky Park. Their hangar serves as the city’s Sky Museum, and visitors can peek inside of forty gliders. Ten of these are vintage, and the oldest is a Minimoa from 1935. Downhill by the runway is a playground with airplane seesaws and wooden benches with chipping paint. A running path lines the runway and continues past the neighboring golf course. On the ground, Takikawa reveals itself in shuttered storefronts, beige buildings with corrugated tin roofs. A bike ride takes you to rivers which flood during typhoon season and cut through banks of snow five feet high in winter. 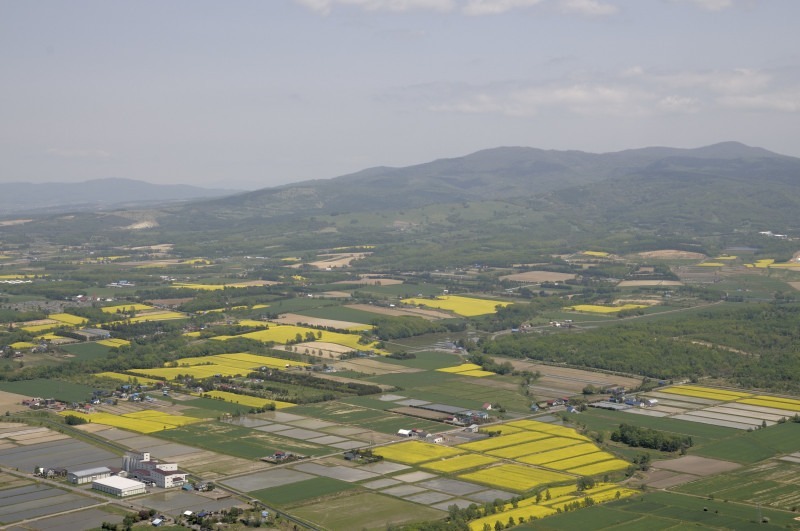 From above, Higuchi sees Hokkaido’s valleys and highlands, coastline and rice fields. Yesterday, he flew at an altitude of two thousand meters over the marshlands of Uryunuma, to the shrinking city of Yubari, famous for melon, for a vicious bear mascot with a melon stuck on his head, and the Yubari International Fantastic Film Festival. As one of the few places like it in all of Japan, Sky Park draws visitors from around the world to glide. Cities like Takikawa have shrunk since the coalmines closed in the seventies and eighties. As thermal power plants spread, so did imported coal. With a government push for oil, natural gas, and nuclear energy, domestic coal could no longer compete. Cities like Takikawa realized their heyday had passed. Young people leave for Sapporo or Tokyo. Cities like Utashinai become the smallest cities in Japan, become cities only in name. Creativity is a must when thinking about how to bring in money, tourists, and new residents, a very real concern for towns with shrinking, ageing populations. The thousand tourists who visit Takikawa annually to ride in a glider provide a good boost to the city. SATA’s aspirations are lofty. It promotes other sports like hot air balloon flight, motorized paragliding, and skydiving. It seeks to bring sky sports like these into education, to make them accessible to people with disabilities. Pilots readied their planes for reconnaissance missions after the September 6th Hokkaido earthquake, when the island lost power for days. Japan does not yet have a national gliding center, and Takikawa is poised for the designation. Between good facilities, good staff, and good instruction, Takikawa draws enthusiasts from Tokyo, Osaka, and all over Japan to fly. This summer, the city hosted the World Air Sports Federation’s championship for radio-controlled model planes. One hundred forty competitors and staff traveled from around Japan and from ten different countries to compete at Sky Park. An additional 1,600 visited as spectators. Being inaka, Takikawa was concerned it lacked the infrastructure to properly welcome foreigners, needing to consider everything from restaurant menus to street signs. Gliding tends to be an Anglophone operation, with major centers and associations located in Australia, New Zealand, the US, and throughout Europe. Japanese pilots are used to speaking English. Most glider pilots and instructional materials use English, not Japanese. SATA seeks to create more instruction in Japanese, opening up access for people with less English ability. “We can teach or coach Japanese pilots. It is very interesting for us to teach everything in Japanese,” he said. “We have so many English books and English-speaking glider pilots, so we always have communication problems.” Instead of integrals and logarithms, Higuchi gets to teach about exploring the sky he admires, whose beauty he respects. 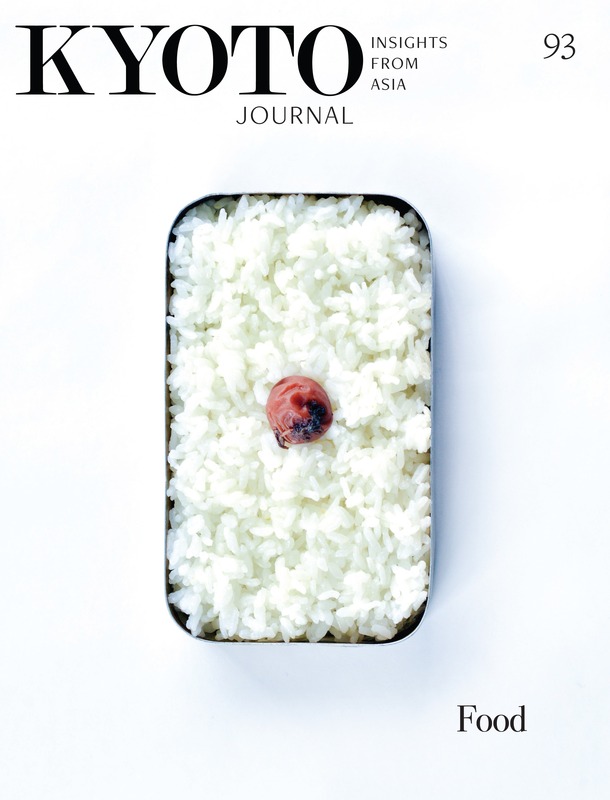 As a Japanese instructor, Higuchi is a trailblazer. With SATA’s mission, and his own, in mind, Higuchi helps promote the city internationally when he competes. Since he first landed beyond the finish line in college, he’s continued to outperform his peers in Hokkaido and internationally, a fact he’d never mention. Instead, he’d talk about going to these competitions to learn from others, to become part of the community. “The gliding community is not so wide, so we can make friends all over the world. Currently, a UK champion has come to Takikawa to coach us until the end of the month. We met each other in New Zealand,” said Higuchi. From my home in the US, I wonder if Higuchi will make his way over here to fly in our skies, to get to know others’ homes from above. The windows behind him in the office darken with dusk. He has to go. The sky is not yet ready to sleep. Michael Colbert is a writer based in Portland, Maine. He loves horror film (his favorites are Candyman and Rosemary’s Baby), and he’s a coffee addict (his favorites are Costa Rican and Ethiopian). His work has appeared in such publications as Maine the Way, Avidly, and Germinal Magazine.